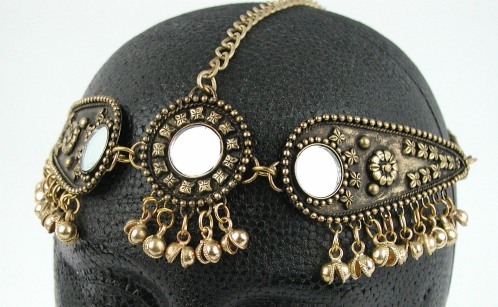 Adjustable white metal belly dance head ornament with mirrors and bells. Nice accessory for tribal style costumes. Now available in brass. FREE SHIPPING when purchased with other item. 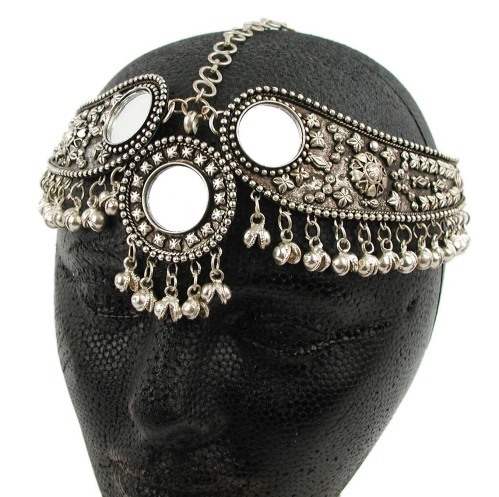 Shipping Dimensions: 8.80" x 3.30" x 2.20"
If you don't see what you're looking for, explore the other pages of this site: Adjustable white metal belly dance head ornament with mirrors and bells. Nice accessory for tribal style costumes. Now available in brass. FREE SHIPPING when purchased with other item. 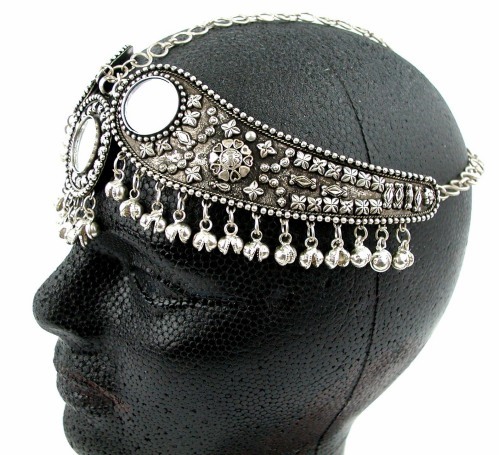 Belly dance head dress, chiffon belly dance head dress, beaded belly dance headdress, belly dance headwear. 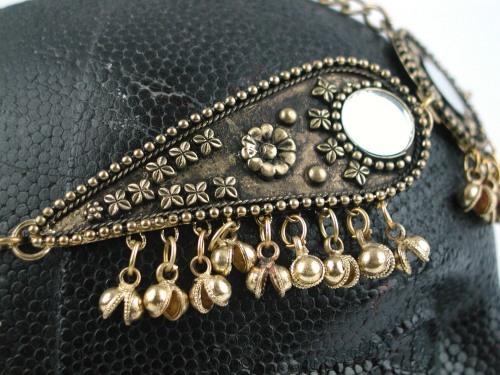 Belly dance costume, belly dance hip scarf, belly dance zills, dancing swords, belly dance coin tops, belly dance choli tops, coin tops, harem pants, and belly dance jewelry.